If you haven't participated in the Anifilm, International Animation Festival, It's time to submit your best animation short films and win laurels. 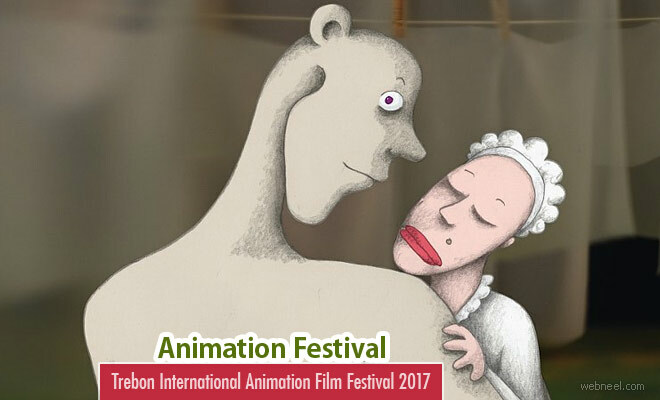 Anifilm, International Festival of Animated Films is conducting it's animation festival from 2nd May 2017 - 7th May 2017. You can start submitting your entries which were taken after 1st January 2016 for this festival. Anifilm was started in the year 2010 which solely honours animation. According to Anifilm,"Anifilm’s mission is to present current trends, methods, technologies and animation techniques in its programme. It also supports works in progress and brand new animation projects and their authors, producers and distributors. Film professionals from all over the world can use Anifilm as a platform for positive confrontation and meeting place for forging new contacts. Anifilm is aimed at authors and film professionals as well as students, educators, film theorists and all fans of animated production, including children. Anifilm also wants to represent the Czech Republic, South Bohemian Region and the town of Trebon in international context on a long-term basis. 5. International Competition for Abstract and Non-narrative Animations. The last date for submission is on 15th January 2017 and it's free registration. You can submit your films, by registeing yourself online vp.eventival.eu/anifilm/2017. Visit www.anifilm.cz/en for more information.